When water damage strikes, have the professionals from 911 Restoration Metro Detroit lend you a hand so that you have nothing to worry about anymore. Our water damage Grosse Pointe Woods technicians can make sure that your beautiful home stays that way with our top quality repair and restoration services. Problems like pipe bursts, sewage spills, or even flooding can often come unexpected which can add a lot of frustration. 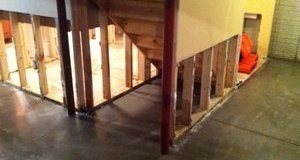 The water and moisture coming from these issues can eventually lead to other complications such as wood deterioration and mold growth. It’s going to take a quick response in order to protect your home from further harm. With our water damage Grosse Pointe Woods team’s 45 minute response time, we can ensure that any water damage is repaired right away. Our water damage Grosse Pointe Woods technicians have more than three decades worth of experience in dealing with all kinds of problems caused by water damage. Aside from the help we can provide, we can also recommend tips that can help you avoid being inconvenienced by leaks. Repair any damage to the roof like damaged flashing and shingles right away to avoid ceiling leaks. When you detect any kind of problem caused by water damage, it’s best to call water damage Grosse Pointe Woods for immediate solutions to the problem. Whatever the issue, you can trust that our specialists will help you handle problems including washer bursts, roof leaks, toilet overflows, storm damage, flooding, or plumbing issues. We can provide the necessary repairs and our IICRC certified water damage Grosse Pointe Wood technicians can provide the restoration work that can give your home a fresh start! 911 Restoration Metro Detroit crews are specially trained and equipped to handle every kind of problem water damage may have caused. We’ll make sure that any damaged sections of your home are repaired and restored to look good as new. We will use our advanced drying technology to thoroughly remove water and moisture from your home. We are available 24/7/365 to provide assistance whether it’s in the dead of night or the crack of dawn. You can rest assured that our specialists are licensed, insured, and bonded to keep your property protected while we work. Our water damage Grosse Point technicians will always put you first in all the work we do for your absolute satisfaction and convenience. Any time flooding damage appears, just give our water damage Grosse Pointe Woods team with 911 Restoration Metro Detroit a call and let us provide your home a fresh start today!